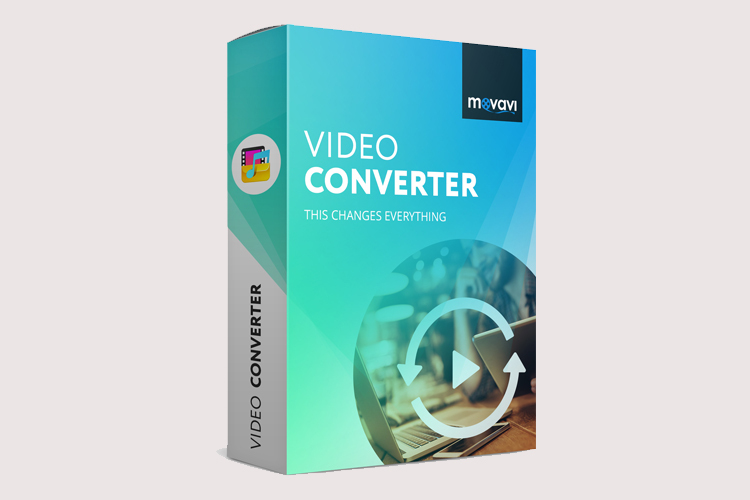 Movavi Video Converter Review - How to Convert M4V to MP4? Home How To Movavi Video Converter Review – How to Convert M4V to MP4? M4V is a popular file format developed by Apple, and is mostly found in their own devices. If you own an iPhone or an iTunes account, then all the videos and music files stored there will be in M4V format. Now this is not an issue unless you intend to watch these movies on your iOS device; but if you are planning on watching them on a smartphone running Android or any other OS, then you won’t be able to play them as most of the mobile phones do not fully support M4V. Even on Windows, you need QuickTime to run this file format. So, what’s the alternative? The best and the simplest option for this is to convert M4V to MP4! There are many converters available online but not all of them give you the best result. If you don’t want to compromise on your quality of your videos, then you need to use the M4V to MP4 converter from Movavi and convert this file format into a more device-friendly media format. Launch the video converter software on your computer and then click on the “Add Media” button and then click on the “Add Video” button. Now, select all the M4V video files that you want to convert at the same time as the software can handle batch conversion as well. Once all the M4V video files are added to the list for conversion, you need to specify what file format you want them converted into. To do that, click on the “Video” tab on the bottom and then click on the “MP4” option. You can also convert the files for a specific mobile handset by selecting the phone model or by plugging your phone to your computer for automatic detection. By default, the converted files will be saved in the Movavi Library folder, but you can choose the folder where you want the files to be saved to after the conversion by clicking on the Folder icon at the bottom. Now, all you need to do is simply click on the “Convert” button and the process will begin. This is how you can convert M4V files to MP4 files using Movavi Video Converter software. Once the files are converted, you will be able to play them easily on your smartphone and even on your Windows computer! The software supports a wide range of formats, AVI, MKV, MOV, MP4; AAC, MP3, OGG; GIF, JPG, PNG, and more, and helps you in converting your video or music files in a popular format in no time. There’s no loss in the quality of the video after conversion, so you don’t have to worry about that. If you connect your smartphone to your computer or laptop, the program will automatically detect the model and give you the option to convert the files in a format that’s supported by your smartphone. With this, you can extract the MP3 file from your favorite video, convert audio files in other formats and transfer everything to your smartphone without any fuss. Apart from conversion, you can even edit your clips before beginning the process. You can rotate, crop and stabilize your video clips and even fix the quality if needed. However, this feature is available only in the premium version. It doesn’t take a long time to convert the media files with the program as it takes advantage of SuperSpeed technology. One of the best features of the Movavi video converter is that it allows you to convert a sample file before converting the whole video, so that you can view the end result beforehand. If you have the need to convert a lot of media files to MP4 format, then you definitely need a software like Movavi M4V to MP4 video converter installed on your computer. With this, the entire process will become efficient and simple. Since the program is available for free for Windows and Mac, you can download and try it for yourself! Previous articleHow to Transfer WhatsApp Messages from Android to Android?